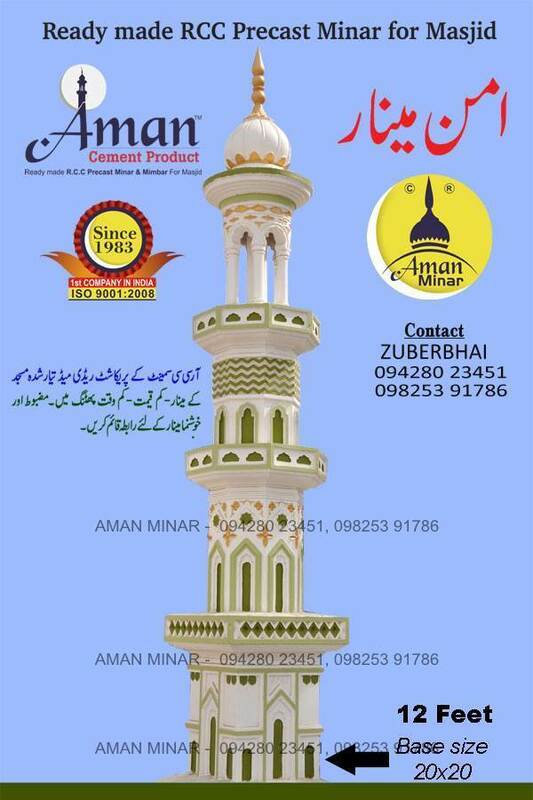 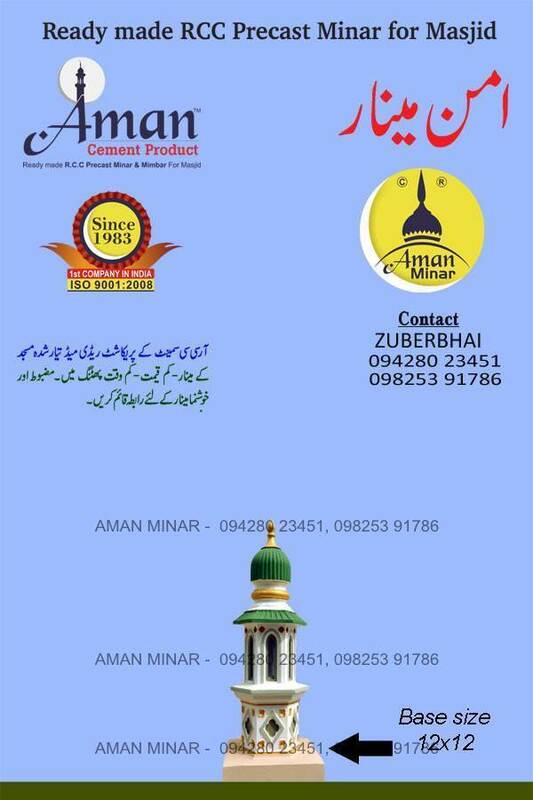 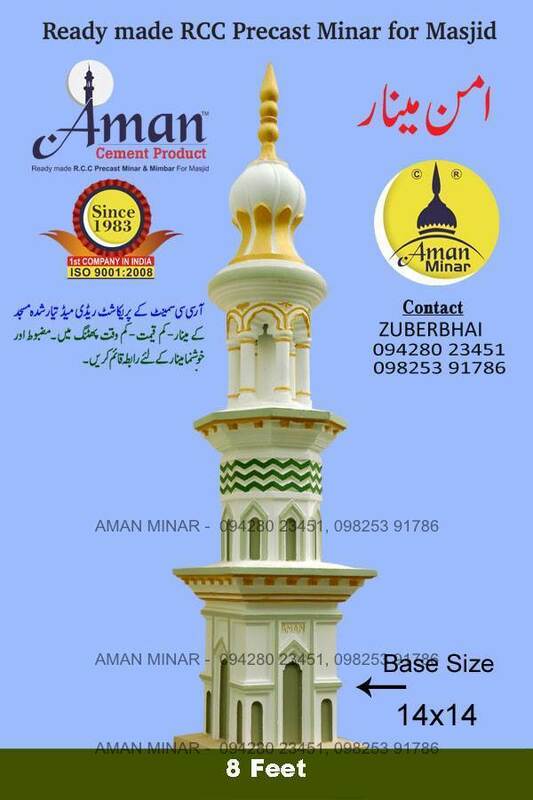 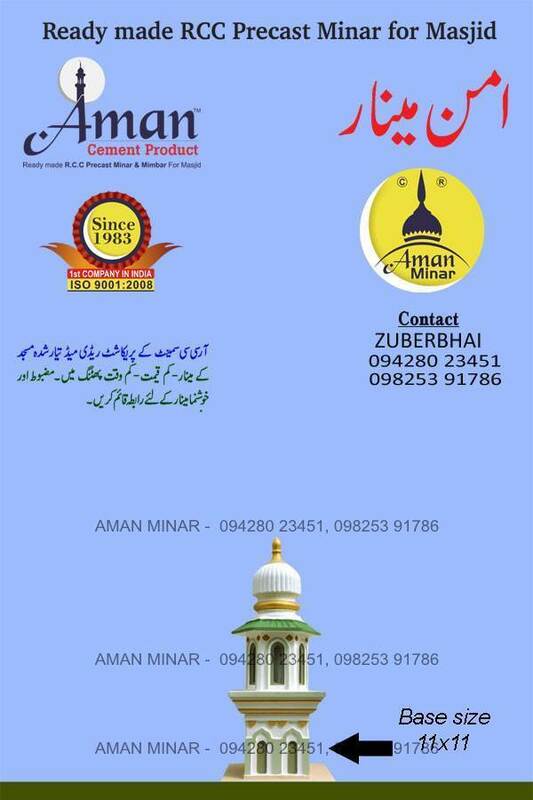 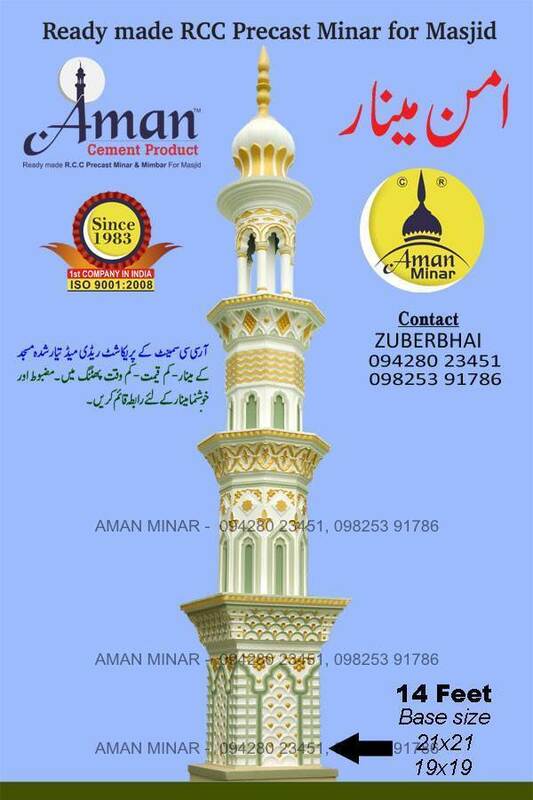 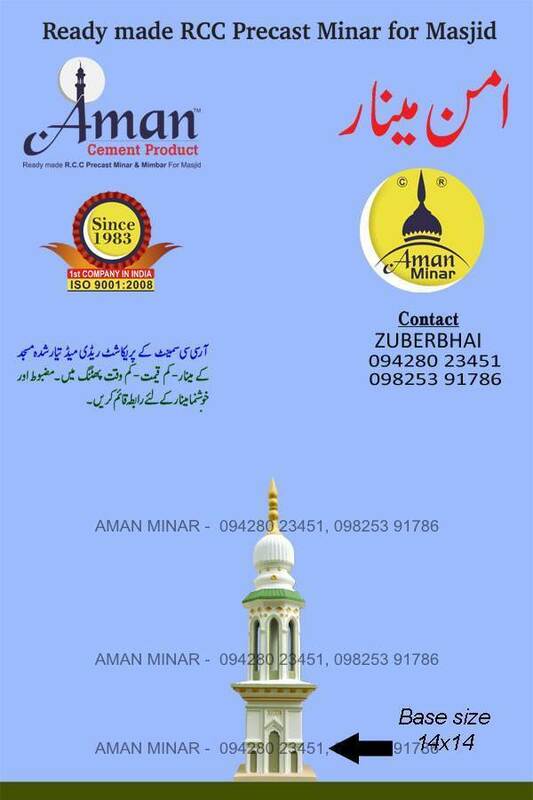 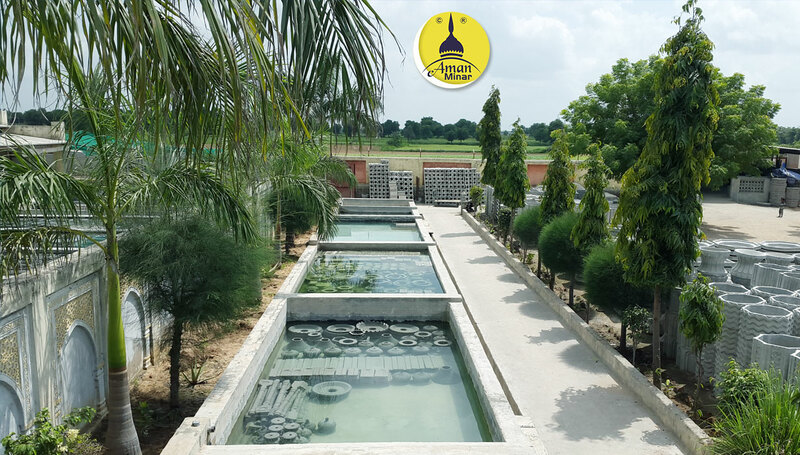 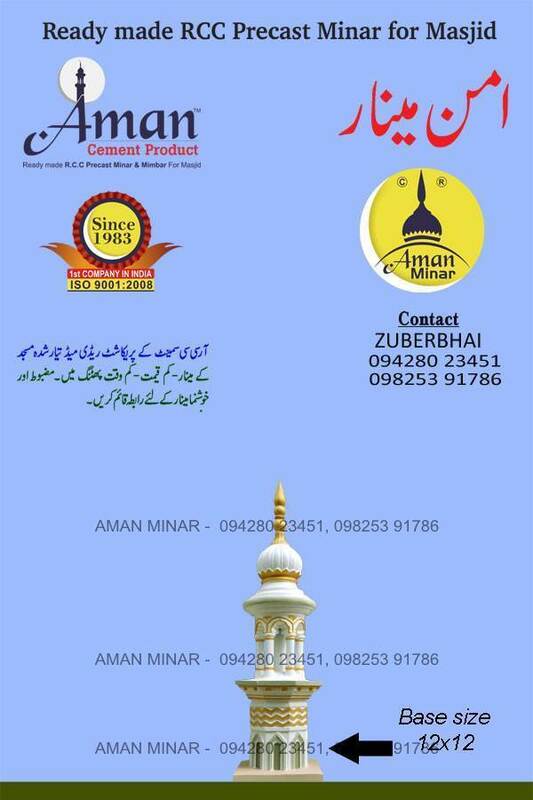 Aman Minar Products is one of the renowned manufacturers of ready made RCC Minars for masjids across entire India. 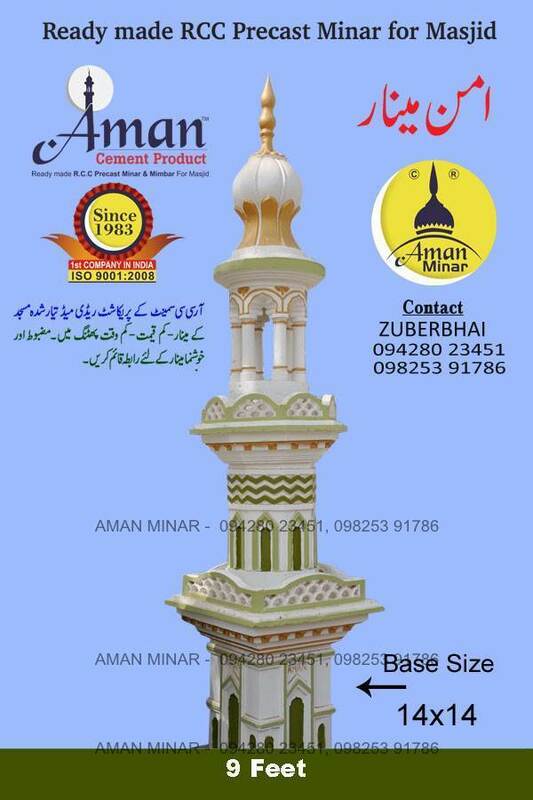 Aman Minar is largest Rcc Minar Products, RCC Jali For Masjids, Masjids Boundry wall Manufacturer, Supplier and Stockist in India. We have our own RCC Minar manufacturing unit in North Gujarat. 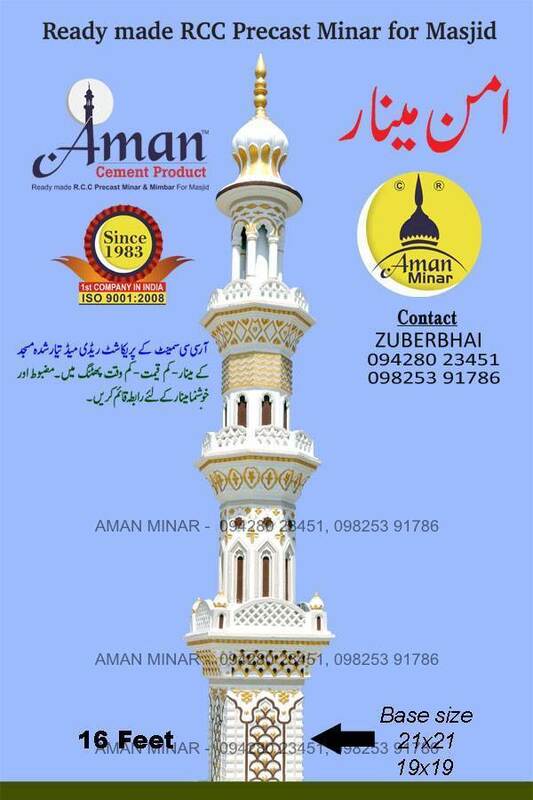 Aman Minar Cement Product having its presence in RCC Minar construction and concrete minar product manufacturing was established in 1983 by concrete technologists with a mission to provide environment friendly, good quality RCC Minar & RCC construction services and concrete products in large quantity to the construction industry to ensure timely completion of project.